Data geeks can get their fix from this cool new tool from our friends at that "other" transportation school up north, UC Berkeley. Researchers at the Safe Transportation Research and Education Center (SafeTREC) have developed TIMS to provide data and mapping analysis tools and information for traffic safety related research, policy and planning. 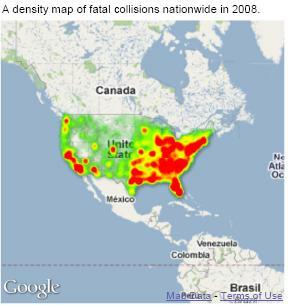 You can find and map info on crash rates, causes, victims, and more using data complied from state and federal crash databases. Much of the data is California-centric, but you can get some info on crashes elsewhere in the US. Users must register for a free account to access the system, available online here.